Peru will be one of the stops on Lara Croft's grand tour of the Americas. 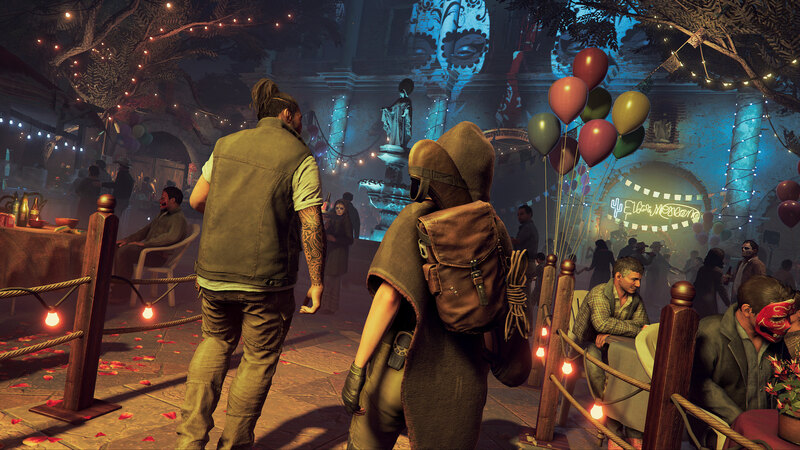 During the Tribeca Film Festival’s Shadow of the Tomb Raider panel, Senior Brand Director Rich Briggs talked about Lara Croft’s character arc, explained why the creative team had decided to put her in a jungle environment, and casually mentioned that she would be travelling to Peru in her latest adventure. Fans who have been following the news coming out of Tribeca or reading reviews of the extended demo will already know that part of the game will be set in Mexico, most notably on the island of Cozumel off the eastern coast of the Yucatán Peninsula. Lara and Jonah take in the sights and sounds of Cozumel during its “Day of the Dead” festival. But it appears that Lara will be venturing further south, following a series of clues that will eventually lead her to Peru, to a great treasure that Trinity mistakenly believes is hidden deep within the Brazilian rainforest. One of the audio clues from the official’s site “Path to the Stars” puzzle teased a location in the Amazon but I don’t know if this means Lara will travel to Brazil herself (it seems pointless if Trinity was supposedly looking in the wrong place) or whether this means she will be venturing into other parts of the Amazon. After all, Peru is home to a sizeable portion of the Amazon rainforest so this South American nation could very well be the location of the hidden city mentioned in the audio clip. Could she be searching for El Dorado or possibly even Paititi? It’s far too early to know what Lara is searching for or which parts of Peru she’ll be visiting in Shadow of the Tomb Raider but, as a long-time fan of the franchise, this news brings back fond memories of the demo for Tomb Raider (1996) and my very first encounter with Ms Croft: guiding her through the ruins of a long-lost Inca city buried deep within the Peruvian Andes.